The use of detention is the default practice for the removal of third-country nationals, as well as a measure to control immigration in Cyprus. In addition, there are gaps in the legal framework and procedures related to the detention of third country nationals in Cyprus, including a failure to implement alternative measures. Over the next two years, Future Worlds Centre will be implementing an innovative alternative to detention (ATD) pilot project, providing working examples of case management in the community as a way to advocate for the implementation of effective ATD based on the IDC’s Community Assessment and Placement (CAP) Model. Over the last three decades Cyprus has been implementing an austere immigration policy that has included the use of detention as the default practice for the removal of third-country nationals (TCN). Furthermore the lack of a migration policy, lack of any regularization procedures, status determination or policy/practice for persons who cannot be returned, has lead to persons being detained repeatedly or if not detained left in destitution. Although the national law, in line with the relevant European Directive 2008/115/EΕ, states that detention should only be used as a last resort and when “less coercive measures to detention” are not possible, to date there are no clear procedures set in place to assess necessity and proportionality of detention. In addition, there is still no systematic review of the necessity of detention and actually no AtD are implemented in practice, regardless of this being required by Law. 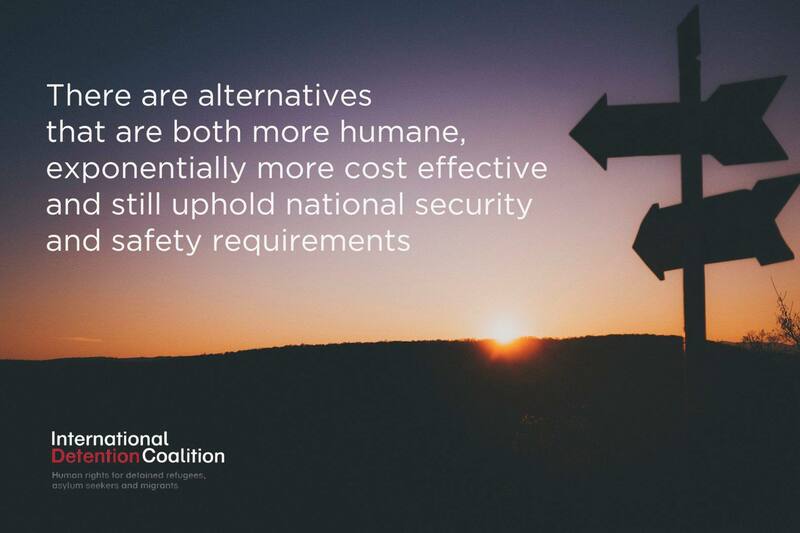 This often leads to vulnerable persons being detained, including victims of torture or trafficking. asylum seekers, persons who cannot be retained and who may have been detained repeatedly. Moreover, the state is still considering the implementation of measures they consider to be alternatives to detention such as tagging. Whereas, the recent transposition of the recast Receptions Directive in October 2016 has increased the instances in which an asylum seeker can be detained; allows detention of asylum seekers based on administrative orders instead of judicial, with no maximum time-limit and no automatic review, all of which open the possibility of a rise in the number of asylum seekers in detention. It is important to mention that there have seen some positive developments in the last two years, such as the de facto termination of the detention of unaccompanied children or mothers with young children, the reduction of instances in which asylum seekers can be detained, as well as reducing the period of time asylum seekers are in detention. Although these practices show an effort to improve the system, they have yet to become law or official policies. In the last year and for the first time there has been systematic advocacy on the establishment of alternatives to detention in Cyprus. This has included initiatives by the Commissioner for Administration and Human Rights (Ombudsman), UNHCR Representation in Cyprus, Commissioner for the Rights of the Child, as well as NGO Future Worlds Center, both individually and in joint activities. 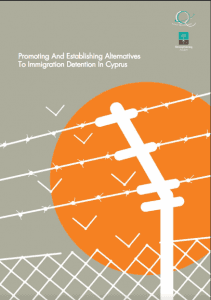 From S eptember 2015 to November 2016, Future Worlds Center implemented a Project on “Promoting and Establishing Alternatives to Immigration Detention in Cyprus”, in cooperation with the Commissioner for the Rights of the Child and UNHCR in Cyprus and with the support of the Office of the Commissioner for Administration and Human Rights (Ombudsman), and funded by the European Programme for Integration and Migration (EPIM). The knowledge and experience gained during the implementation of this Project suggest that there is a need to reform the existing framework in order to create an effective and functioning mechanism which will primarily safeguard the rights of third country nationals. The implementation of such mechanism will protect persons against the risk of arbitrary detention and will provide less strict but effective alternative measures through a specific process and clear criteria. The experience of implementing such measures at an international and European level demonstrates that the Revised CAP Model and specifically, case management, leads to higher levels of compliance and case resolution. Furthermore, it has been shown that the detention of third country nationals does not prevent or reduce irregular entry or stay in the country, whiles the cost of detention, both financial and humanitarian is extremely high. The examination of alternative measures does not suggest the complete abolition of the use of detention. On the contrary, the existence of a clear framework of alternative measures guarantees the legality of procedures and ensures that detention will only be applied as a last resort. Through the implementation of the Project, we came to the overall conclusion that Cyprus has the potential to promote, support and establish an alternative framework, as well as develop good practices so as to become a good example not only in Europe but also at international level. The immediate adoption and implementation of the revised Community Assessment and Placement (CAP) Model, adjusted to the Cypriot reality. 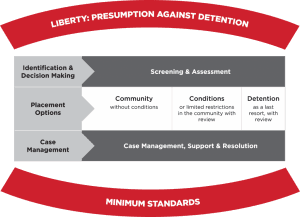 The immediate adoption and implementation of alternative measures to detention which will be based on placing the person in a community setting, without conditions or with conditions or limited restrictions. 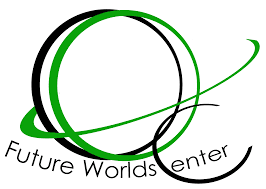 Future Worlds Center’s pilot ATD project will implement the revised Community Assessment and Placement (CAP) model to provide case management in the community to asylum seekers, failed asylum seekers, irregular third country nationals and non-removables who are detained or at the risk of being detained. Case management will include legal advice, social councelling, mediation with authorities, referrals to other organisations or services to cover their basic needs. Moreover, draft recommendations will be provided on each case, as well as updates where necessary and submitted to the authorities and alliances on each case. These will include recommendations on legal options, placement options, requirements to cover basic needs as well as recommendations for the resolution of the case. The pilot programe will aim to show that by implementing the CAP model to engage with and support individuals in the community, government migration policy objectives can be met without using detention. This will be coupled with training low-level state officials (in departments responsible of deciding and executing detention orders and ATD as well as other related departments) and other NGOs and advocating at a policy making level for the adoption of the model. Training will be also offered on the Vulnerability Screening Tool produced by UNHCR and IDC, a tool designed to assist frontline workers, immigration officials and decision-makers to identify an individual’s areas of vulnerability and to refer them to appropriate support and placement options in the context of asylum and migration procedures and systems. The implementation of a pilot program in Cyprus is an effective practice towards forming alternative measures. 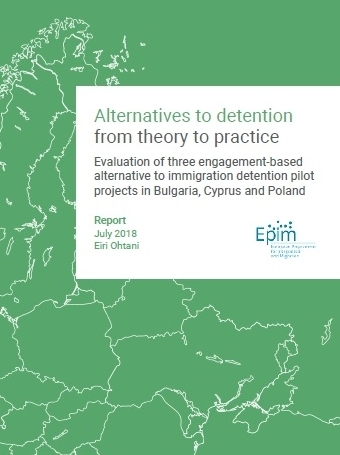 The pilot program, with the support of our alliances (Ombudsman’s Office, Commissioner for the Rights of the Child and UNHCR in Cyprus) and with the close collaboration of the International Detention Coalition, Detention Action (UK) and other Organizations, aims to highlight the effectiveness of individual assessment of cases, which leads to selecting the most suitable alternative measure and higher possibility of resolving the case.